Safflower is an annual herb whose botanical name is Carthamus tinctorius. It is a member of the Asteraceae family. It has long, spiny leaves and yellow or reddish flowers on a stiff, upright stem. The seeds produce an edible oil. Safflower flower has been used in traditional Chinese medicine for thousands of years. It is used to treat menstrual disorders. Safflower flower is an emmenagogue, meaning that it is given to bring on menstruation. Safflower is also used to treat menstrual pain, to firm up the uterus after childbirth, to ease stiffness and pain in the joints, and sometimes also to treat trauma to the abdomen. According to traditional Chinese usage, safflower flower is a blood regulator; that is, it invigorates and harmonizes the blood and dissolves blood clots. Safflower flowers are also used to treat such childhood problems as measles, fevers, and skin rashes. Applied externally, safflower flower is used to cleanse wounds. Interestingly, on the other side of the world, North Americans used safflower flower in the nineteenth century in much the same way as the Chinese—to bring on menstruation and to treat measles. They also used it to induce sweating. 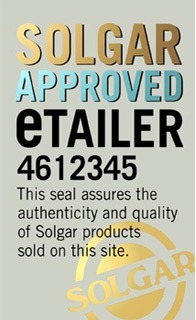 Solgar supplies several different multivitamin supplement products such as Solgar Safflower Oil Softgels 100 Capsules.